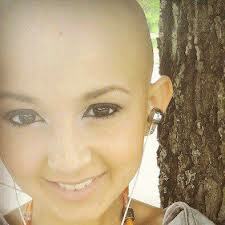 Some of you may be aware of the tragic loss of Talia Joy this week. She was an amazing 13 year old with a passion for beauty and make-up but tragically lost her battle with cancer on the 16th July 2013. So we are asking all those out there in the beauty blogger world to pay tribute to this brave and beautiful girl by painting your nails mint. Her last ever post was of her sporting a beautiful mint coloured polish, so we thought we would all band together and have a Mint Mani day for Talia. So everyone get involved... grab your favour green/mint colour and get painting. We wanna see those beautiful green nails shine tomorrow!